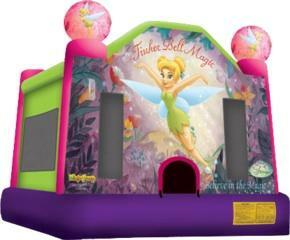 13 x 13 Disney Tinkerbell Bounce House that is all digital printed on the front. 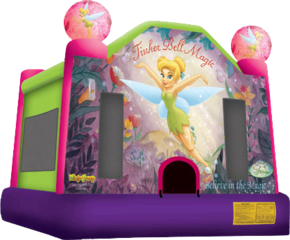 Your little angels will be welcomed at the safety step to entrance by Tinkerbell before they jump the day away. Our Bartow friends have given great reviews on this inflatable bouncer and you will to after your party experience, remember we bring the fun to any event big or small.